If you’re looking into WriteOnCon and our fabulous kidlit conference (*cough* February 9-11, 2018 *cough*), you probably have a basic knowledge/sixth sense about the age ranges and genres contained within this wonderful catch-all. In this entry, we’ll be talking about the different age ranges that fall under kidlit, along with the general guidelines for each. Take note of the word guidelines: Publishing is often shifting and these soft rules can flex at any time. But it’s normally best to play it safe and adhere to what agents and publishers are looking for! 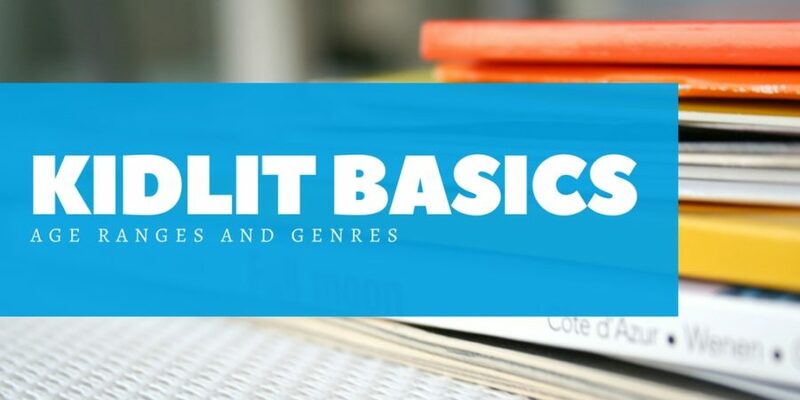 At the very end, we also talk briefly about some of the different subgenres you might find yourself writing. And there are a lot of those, too! Age Range: Babies and toddlers. Word Count: Less than 100. Board books tend to be made of sturdy, thick pages (perfect for chewing on) with brightly colored illustrations and very few words. Sometimes they have interactive features, like holes in the pages or textures to feel. Age Range: “Younger” picture books fall around ages 2-5; “Older” books land nearer 5-7; There is also a small, emerging market for picture books that have range to appeal to older children (like The Promise by Nicola Davies). Word Count: Maximum is 1000, but as Josh Funk mentioned during WriteOnCon 2017 — normally a 500 max is recommended. Picture books are short, illustrated books that tell a story. The creative way text and pictures interact is a hallmark of the books. Generally picture books will be read to children by an adult or older sibling. Word Count: Depends on the publisher, but the max can be anywhere from 1,800-5,000. Early reader books are targeted toward new readers, and generally will be the first books children read on their own. They are short, sweet, and filled with illustrations. Age Range: 7-10 (some flexibility due to reading levels). Chapter books are relatively short stories broken into short chapters (generally around 8 pages). Generally they have fewer illustrations and slightly longer stories. Middle grade stories tend to focus on topics that concern kids around the ages of 8-12. Themes might include: Family, friendships, school, sports, discovery, and adventure. Word Count: 50,000-120,000 (but normally ~80,000 is recommended as a maximum). While Middle Grade tends to be more outward facing, Young Adult turns inward. Themes tend to revolve more around the inner landscape and development. These can include: Identity, firsts, disillusionment, empowerment, transitions, and self-discovery. Word Count: 60,000-120,000 (but normally ~90,000 is recommended as a maximum). New Adult books tend to focus on topics of independence and self-reliance. Themes can be more mature than seen in YA (though that’s a blurry line), but the genre is also targeted toward a different, slightly older demographic, which comes with different circumstances and conflicts. And that’s just a few of the possibilities! A lot of books actually combine several of these into their story. Pretty awesome. So, tell us: What age range are you writing for? And what genre would you call your WIP?